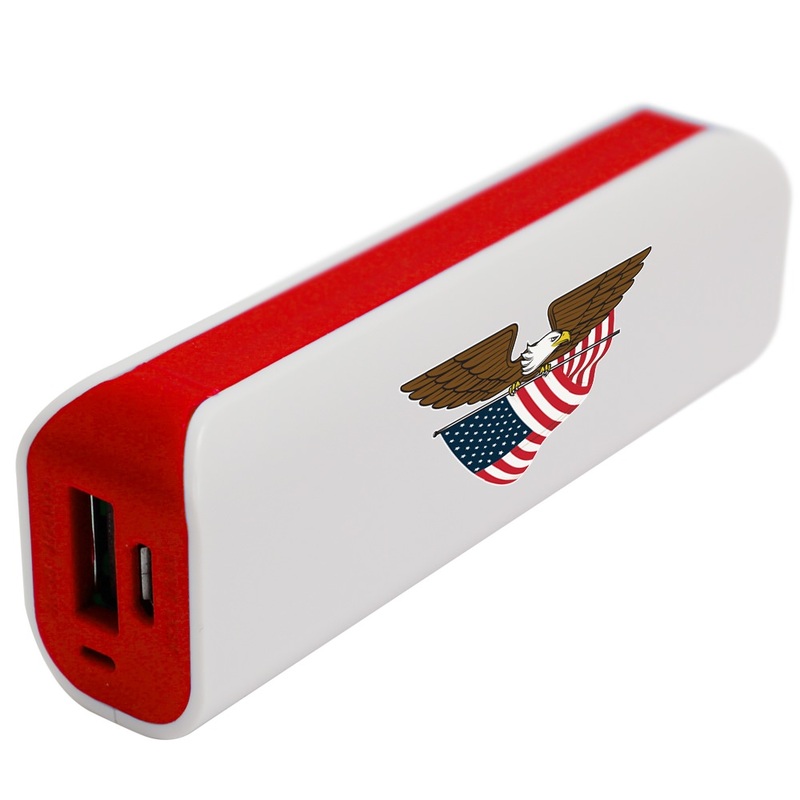 The brilliant red insert wonderfully sets off the American flag and eagle on this fantastic mobile charger! Our gift to you for your qualifying purchase, you’ll simply love having easy access to power for your mobile devices. With an energy capacity of 1800mAh and a tiny 2 ounce weight, easily transport this USB mobile charger anywhere you go. Useful for your tablet or phone while traveling (or if you’re just not near a USB port), with a patriotic flair you’ll never forget. Enjoy!